A set of eight high quality chimes tuned to the planetary frequencies: Mercury, Venus, Mars, Jupiter, Saturn, Uranus, Neptune and Pluto. Handmade by a musician in Germany. 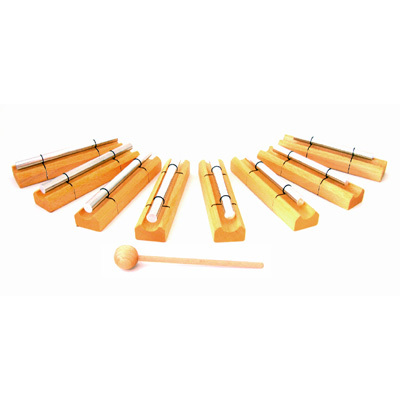 Chimes vary in length from 12 to 15.5 cm.